Explore a humongous world full of unbelievable structures made of bricks. 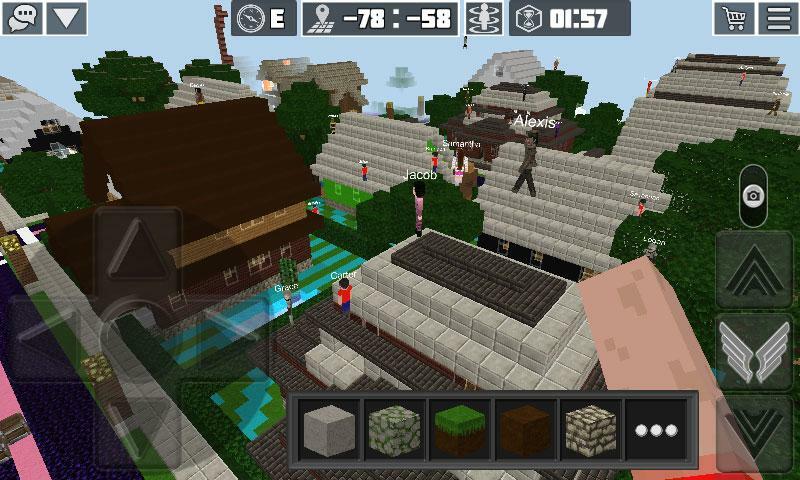 There’s no denying that sandbox worlds are made to be huge. In fact, the term sandbox implies endless opportunities for creation and exploration. There are no limits to where you can go and what you can do in these virtual worlds. Of course, PlanetCraft is a testimony to that wonderful feature of sandbox games. 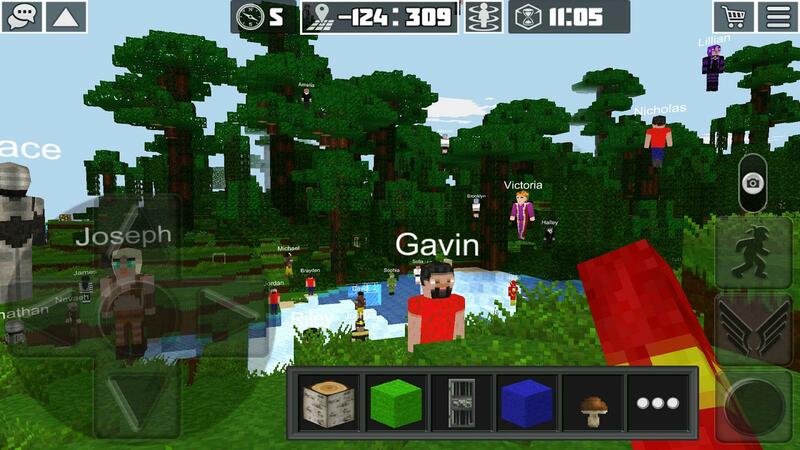 In here, you can create your own world up from scratch using blocks that you can find in the world. This is one part of the game that you could certainly say that shares similarities with other popular voxel-based virtual worlds out there. To do this, you simply approach a block, highlight it by tapping your finger over the block, and holding until the block breaks up and a smaller, floating version appears. There are various types of blocks that you can find in the undeniably massive world of the game. Collect these and add them to your inventory because they’ll be very useful later on. Moving your character around with an on-screen control pad is undeniably difficult, so the developers have included a “Sneak Mode.” Sneak mode allows you to move slowly so you don’t veer off angle and fall, which can be fatal if you’re already in a high place. Of course, you can respawn and try again, but you lose whatever items you’re carrying. You could also teleport to a certain spot in the game’s virtual world. All you need to do is just take note of the coordinates and enter them under the Teleport menu next time you respawn. You can also use this feature to teleport to a friend if he or she is online. Simply click on their name in the chat menu, and you’ll be automatically teleported. Going back to collecting blocks - you will need these to craft items. There’s a wide range of items that you can create here in this sandbox world. These can range from weapons, to essential items like torches, and other stuff. You can also create tools, like workbenches and many others. There are two ways to enjoy the game - single player and multi-player. Single player is ideal if you want to try out the game’s world-building features. In here, you’re in charge of exploring and developing your very own world. You have everything you need at your disposal, and no one will bother you while doing so. 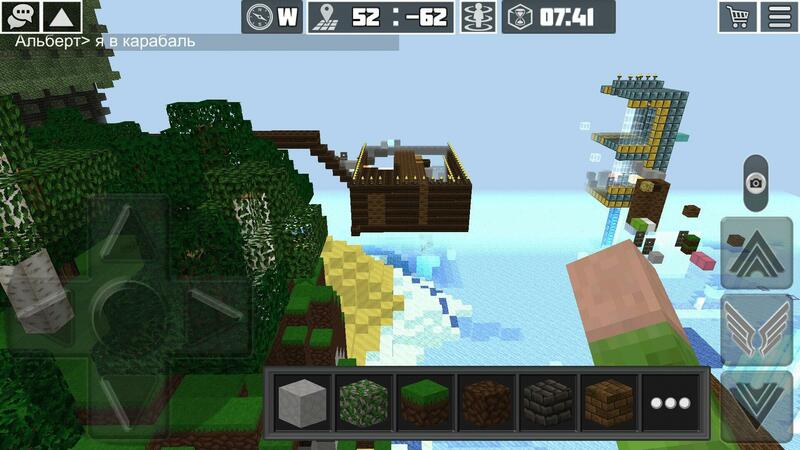 PlanetCraft is a wonderful sandbox world that you can play using your mobile device. It is available for both Android and iOS platforms.